Tonight on MTV their reality show 16 & Pregnant returns with its 5th season. On tonight’s episode called, “Maddy,” an all-American girl gets pregnant from a one-night stand in the Season 5 premiere. This season there are 11 more girls with equally tough stories to share. If you have never watched the show before ‘MTV’s 16 and Pregnant’ is an hour-long documentary series focusing on the controversial subject of teen pregnancy. Each episode follows a 5-7 month period in the life of a teenager as she navigates the bumpy terrain of adolescence, growing pains, rebellion, and coming of age; all while dealing with being pregnant. Each story offers a unique look into the wide variety of challenges pregnant teens face: marriage, adoption, religion, gossip, finances, rumors among the community, graduating high school, getting (or losing) a job. Faced with incredibly adult decisions, these girls are forced to sacrifice their teenage years and their high school experiences. But there is an optimism among them; they have the dedication to make their lives work, and to do as they see fit to provide the best for their babies. On tonight’s episode the first episode of the new season introduces Madison, whose mother’s harsh reaction to hearing about the pregnancy — kicking Madison out of the house — incited a flurry of protective fan comments. 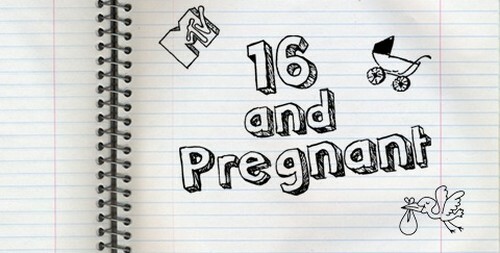 Tonight’s 16 & Pregnant season 5 premiere is going to be exciting, and you won’t want to miss. While you wait for our recap, hit the comments and let us know how excited you are about the season 5 premiere of 16 & Pregnant. Check out a Sneak peek video of tonight’s episode below! 16 & Pregnant is back tonight with an all new season and all new girls. Tonight’s episode follows the story Maddy. The episode kicks off pregnant Maddy discussing her pregnancy over dinner with her Mom and sister and brother. Her sister Emily reassures her that she thinks she will be a good Mom. Maddy’s family has never met Cody. The next day Cody heads to the Maddy’s doctor appointment with Maddy, her Mom, and her baby sister. Maddy is happy that Cody finally is acting excited about being a Dad. Afterwards Maddy talks to Cody and he admits that he wishes he had used a condom. Maddy and Cody aren’t in a relationship but she wants her unborn daughter to have both of them in her life. The next day Maddy’s Mom sits down with her to talk about her plans. She tells Maddy that she doesn’t have any room in her house for Maddy and the baby. After the baby is born Maddy is going to have to either go live with her Dad or go live with Cody. Maddy cries that she doesn’t want to live with Cody because she doesn’t even know him. Her Mom explains that she has a month after the baby is born and then she has to leave, there are already seven people living in the house. Maddy is upset that her Mom is kicking her out of the house, so she has Cody over to talk about where she is going to live. Cody wants Maddy to come live with her. Maddy points out that they aren’t even together, how are they supposed to sleep in the same bed together? Cody volunteers to sleep on the floor if she moves in. He promises to talk to his parents about her moving in and says that his Mom would love to babysit. Cody isn’t the only one that wants her to move in though. When her Dad finds out she is going to move in to Cody’s house he drives all the way up from Indiana to discuss it with her. He tells Maddy that she is welcome to move in to his house. She explains to her Dad that if she lives with him then Cody will be too far away from the baby. Cody’s parents come over and meet her Mom. They are more than happy for her to move into their house with the baby. Cody admits that he wants to be with Maddy and wants her to sleep in the same bed with him. Maddy says she will bring her own bed with her when she moves in with Cody so that they don’t have to sleep together, because she thinks they should get to know each other more. It’s finally September and Maddy is 36 weeks pregnant. She gets up and gets dressed for her first day of school as a Junior. Maddy starts crying because she doesn’t want to go to school. Her Mom tells her that she has to go and she can’t fall behind. After school Maddy hangs out with her old softball friends. She reveals to her friends that she plans to stay in school until Aubrey is born. While she is talking to her friends about maybe taking online classes Cody calls her and asks her if she wants to go on a date. She agrees and hangs up, and then jokes to her friends that she has never been on a date with Cody. She is nervous because Cody expects them to be together, and she doesn’t think that is what she wants. Cody and Maddy head to a diner and Cody asks her if they are getting any closer to being a couple. Maddy says that they shouldn’t be worrying about themselves, they should be worrying about the baby. They wind up getting in a huge fight because Maddy confesses to Cody that she is not going to give the baby his last name. Maddy is 38 weeks pregnant and it is Homecoming week. She heads over to her friend’s house to try on dresses even though she doesn’t think that she is going to the dance. After struggling to get into a dress, she decides to skip the dance. The next day Cody Mady heads over to Cody’s house to see what the nursery. They are completely remodeling their dining room and turning it into a nursery. His parents tell her that they are about to spend a lot of money to build the room and if she is going to change her mind she needs to let them know ASAP. The next day she doesn’t have time to decide though because she starts having contractions. Her Mom gets her baby sister dressed and then they head to the hospital. En route to the hospital she texted Cody and he met her there. After six hours of labor Maddy’s doctor gave her an epidural and she was able to start pushing and give birth to Aubrey. Cody stayed overnight at the hospital with Maddy and Aubrey and the next day they had to sign the birth certificate. Cody is furious when Maddy gives Aubrey her last name. After two days the doctor discharged Maddy and Aubrey and her Mom came to the hospital and picked her and Cody and the baby up. Cody’s parents met them at her Mom’s house so that they can spend some time with Aubrey. Aubrey is two weeks old now and Cody hasn’t been back to the house to see the baby or help Maddy take care of her. Their house is mayhem with a newborn baby and a four month old baby living there. Her Mom reminds her that she had to move out in two weeks. Maddy’s friend comes over to meet Aubrey and Maddy reveals to her that she is taking classes online and she isn’t going back to school. She doesn’t have a choice and Cody isn’t showing any interest in helping her with Aubrey. Finally three weeks later Cody calls her to see how the baby is doing. He explains that he has been working every single day. Maddy has to move out of her house in five days. She drives to Indiana to see her Dad and tells him that she has changed her mind and wants to move into his house. She is scared to tell Cody’s parents though because they spent so much money on remodeling the baby’s room for her. She texted Cody and let him know and he was less than thrilled by the news. A few days later Maddy’s Dad drives up from Indiana to pick up her and Aubrey. After about three weeks Cody texted Maddy and said that he wanted to see the baby. He drove to Maddy’s Dad’s house in Indiana. It’s the first time he has seen Aubrey since the day they left the hospital. Cody says he wants to start seeing the baby more but he is scared that her Dad won’t let him come to the house. Maddy reassures him that her Dad isn’t going to stand between him seeing his daughter. She wants Aubrey to have her Dad in her life and hopes that one day when Aubrey is older she learns from her mistakes.